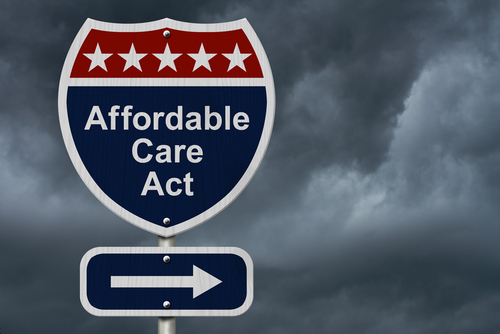 Are Employers Still Unprepared for ACA Conditions? At the beginning of the year, we announced that ACA Compliance had begun for 2015, and discussed what this meant for employers; explaining that your clients will need to decide whether their new hires are variable hour employees subject to a measurement period, or whether they’re full-time employees. Understanding and complying with new ACA conditions is vital to running a business in the U.S. and potentially reducing Employment Practices Liability Risks. Some healthcare and employee benefit experts, such as those from Employee Benefit News, feel that employers are still not prepared for ACA requirements. In fact, they cited a recent Ernst & Young webcast poll, in which 25% of employers stated they were not ready to meet all the implementation requirements of the ACA. 56% of them reported that they were somewhat ready, but still have a lot of work to do. The IRS has not issued much guidance either about required compliance, until about a year ago, and final regulations for reporting didn’t come out until March 2014, making it “difficult for finance/tax departments to comply,” says Meunier. Meunier is not the only one surprised by the fact that many employers still aren’t ready for the implications of the ACA. Steve Wojcik, vice president of public policy at the National Business Group on Health, speculates that it wasn’t that companies were taking a wait-and-see approach but were acting and trying to gather the information they could, but information was limited. So what can be done for those employers who still might not feel ready? In addition to making sure all their information systems and data are ready to fill out IRS forms, they need to be prepared to receive and respond to questions their employees will have about state exchange notices. At PL Risk, we understand all the financial considerations your clients have to make at the beginning of the year. One of these considerations should always be their insurance coverage. Our products include Employment Practices Liability, Errors & Omissions Liability, and more. Please contact us today at (855) 403-5982 to learn more about our products and the industries we serve.